Konichiwa, welcome to Native Camp! My name is Tinay. Come aboard with me as we set sail on an epic adventure on learning English with me as your captain and you as my sailor. I'll make sure that your learning journey will be as smooth and convenient as it can be. I will make sure you'll grow the confidence and let you experience an easy and fun way to learn English. I will be with you every step of the way. Come aboard with me and remember, learning English shouldn't be hard. 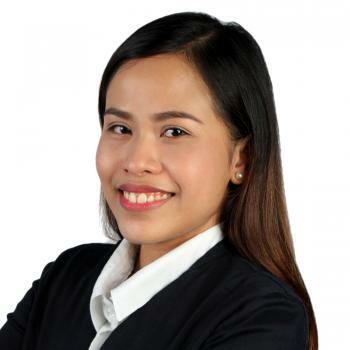 Teacher Tinay finished her bachelor's degree major in Accounting last 2008. She taught Accounting, Business Mathematics and any business related subjects in one of the college institution in Cebu City for almost five years. She also finished her master's degree in Business Administration last 2014. Though she don't have any experience teaching English but she taught business subjects using the English language. She's well experienced in handling different attitudes of students and will able to handle them professionally. She really cares passionately about motivating students to study well. Teacher loves singing and dancing. She also loves to travel. She sometimes read books during spare time. Thank you so much. I enjoyed your lesson. Thank you for your helpful lesson. I enjoyed our discussion very much. I hope to see you soon!